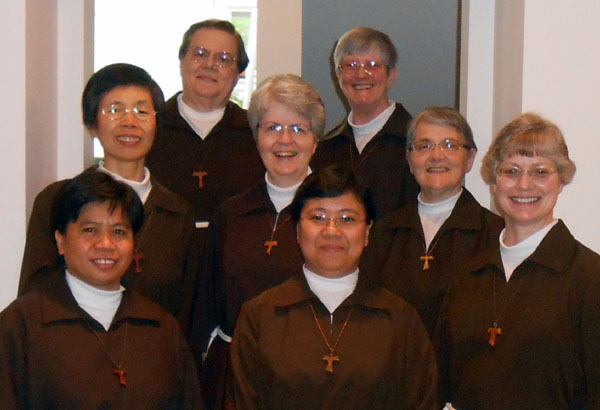 In June of 1990 three Poor Clares from three different monasteries, moved by the Holy Spirit, came together and founded a new Poor Clare monastery in Cincinnati, OH. Sr. Doris Gerke, OSC came from our monastery in Huehuetenango, Guatemala, Sr. Dianne Short, OSC from our monastery in Bronx, New York, and Sr. Anna Marie Covely, OSC from our monastery in Langhorne, Pennsylvania. With the help of Fr. Stan Bir, OFM they formulated a Vision Statement that continues to bond us into community to this very day. “We live as a loving community the Gospel of our Lord Jesus Christ in poverty, littleness, simplicity, and joy: open and sensitive to the Spirit working within is, among us, and beyond us; lovingly surrendering ourselves to the Lord; witnessing to the primacy of contemplative prayer and trusting in the care of the Lord each days of our lives”. Guided by this Vision Statement we open ourselves to the service of each other and to God’s people. Our life is centered on daily Eucharist, Liturgy of The Hours, Contemplative Prayer and Life in Community. 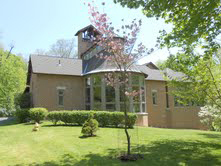 To learn more about our monastery, visit our website at www.poorclarescincinnati.org.